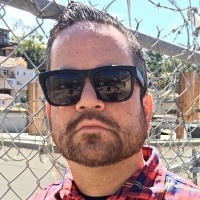 Featuring vocalist Jon Bunch (Sense Field, Further Seems Forever) and guitarist Nik Hill (Ignite), Lucky Scars is a new California band that straddles the line between punk and melodic rock. 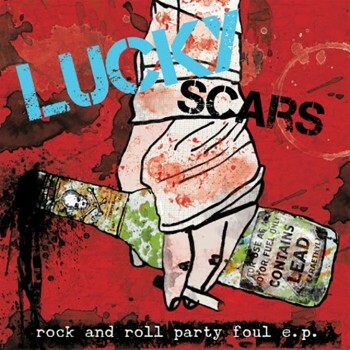 Considering who the creative forces behind the new outfit are, it's no surprise that Lucky Scars' debut release, Rock and Roll Party Foul E.P., brings to mind Samiam, Farside, and other like-minded bands of the mid-'90s. Clocking in at under 10 minutes, the four-song EP is an upbeat collection that delivers a few big hooks per track. Bunch never disappoints in the vocal booth, and his work here with Lucky Scars doesn't ruin his winning streak. The guitar riffs are both driving and dissonant, and always catchy. Produced by Jim Monroe (The Adolescents, Bodyjar) and mastered by Descendents/All guitarist Stephen Egerton, the EP reminded me of those 7"s I used to fall in love with in the '90s that I would play nonstop for months on end. I'm not sure if Lucky Scars plan on recording a proper full-length in the future, but if they do, I'll definitely be adding it to my CD collection.